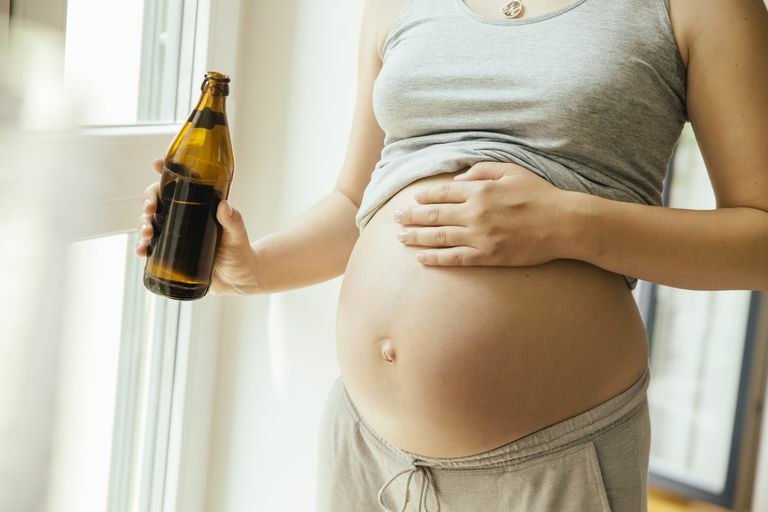 It has long been known that alcohol consumption during pregnancy can lead to children being born with fetal alcohol spectrum disorders - a variety of motor, behavioral and cognitive difficulties. What has not been known is exactly how alcohol exposure in utero causes fetal alcohol syndrome (FAS). Using advances in MRI imaging technology, researchers compared in detail the regions of the brains of children who have fetal alcohol syndrome with those who were not exposed to alcohol during pregnancy. The results, published in 2011, indicate that alcohol exposure during pregnancy can negatively impact the "gray matter" part of the brain. MRI images of the brains of children with FAS, compared to the brains of non-FAS children, indicated that the brain's deep gray matter was reduced in all regions of the brain in the children with fetal alcohol syndrome. Because deep gray matter serves as the brain's "relay stations" that send and receive signals between the cortical regions of the brain, healthy deep gray matter is critical for learning, memory, motor function and emotions. Several studies have been conducted on different areas of the brain that have shown a reduction of deep gray matter in those areas. The 2011 study, however, examined all six deep gray matter structures and found a reduction in deep gray matter in every region. The reduction in deep gray matter was significant, ranging from 7% to 18% less compared with children who were not exposed to alcohol during pregnancy. The differences were also present over an age range from 6 years old to 17 years of age. Researchers believe that drinking alcohol during pregnancy can cause the deep gray matter of the unborn child to not develop as it would if there were no alcohol exposure. This reduction in deep gray matter can cause children with fetal alcohol syndrome to have less capacity to communicate between different regions of the brain. Although, no researchers have found a direct relationship between individual brain volumes and specific cognitive problems, the reduction in deep gray matter has been indicated as an underlying basis for the memory, learning and behavior difficulties of children with fetal alcohol syndrome. Also, so far no research has indicated just how much alcohol consumed during pregnancy causes fetal alcohol spectrum disorders. It has not been determined if there is a level of alcohol consumption that pregnant women can maintain that is guaranteed safe for their unborn child. Therefore, if you are pregnant, the safest approach is to stop drinking as soon as you find out you are pregnant, to make sure that your child's brain develops normally. For most women, quitting alcohol during pregnancy is simply a matter of deciding to do so, but for others, who have alcohol use disorders or have become alcohol dependent, it may be not so easy. If you find that you have difficulty in trying to quit drinking, you can seek help from your healthcare provider, a drug and alcohol treatment program or a support group such as Alcoholics Anonymous or Women for Sobriety. Centers for Disease Control and Prevention, National Center on Birth Defects and Developmental Disabilities. "Fetal Alcohol Spectrum Disorders" 2 May 2006. Nardelli, A, et al, "Extensive Deep Gray Matter Volume Reductions in Children and Adolescents with Fetal Alcohol Spectrum Disorders." Alcoholism: Clinical & Experimental Research. 16 MAY 2011.